To consumers, Amazon is a land of plenty. A place where you can find anything. It’s easy to understand why shoppers start more than half of their online product searches on Amazon — and why more than 100 million people pay for premium Prime memberships to unlock access to exclusive deals. 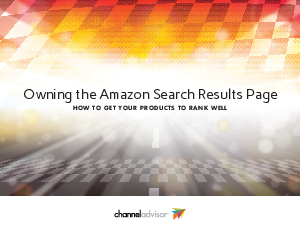 As the marketplace that’s set the standard for remarkable ease in browsing and buying, Amazon serves up millions of indexed search results to purchase ready shoppers every single day. That’s why it’s so important to step back and see where your listings stand from your consumer’s point of view. How does the results page break down? Do your products stand out? Or are they easy to miss? Most importantly, do your products even show up?